4 7/8 inch closed lockback. 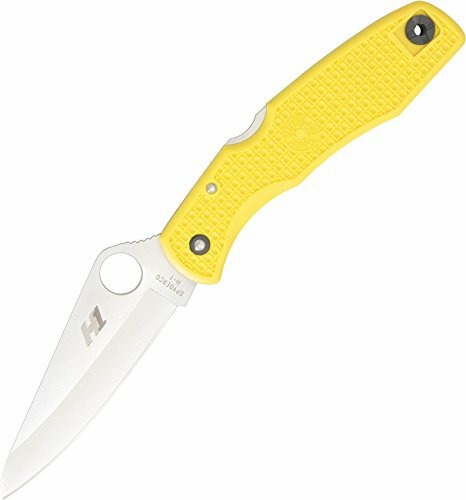 Standard edge H1 steel blade with thumb hole pull. Yellow Checkered fiberglass reinforced nylon handles with reversible black coated stainless pocket clip. H1 steel blade and lock steel uses 1% Nitrogen in place of carbon, producing a completely rust free knife. Doesn't rust even if put away wet. Marine Yellow FRN Volcano Grip handle. David Boye Dent. Spine Jimping. Lanyard hole for cord attachment. If you have any questions about this product by Spyderco, contact us by completing and submitting the form below. If you are looking for a specif part number, please include it with your message. © 2019 - lakenormanwildlife.org. All Rights Reserved.